The UCLA Bruins faced an odd transition year in 2015-2016. They had plenty of talent on their roster, led by linebacker Myles Jack and running back Paul Perkins, but were also moving on from Brett Hundley at quarterback and were young in other key areas. They showed plenty of promise and looked to be an early favorite in a crowded Pac-12 South race before Jack got hurt, their offense faced serious inconsistency and their secondary had some issues. Overall, it culminated in an okay 8-5 mark that ended on a disappointing note with a loss to 5-7 Nebraska in the Foster Farms Bowl. While Jack, Perkins and other impact players may depart, the Bruins should be much better top to bottom this season. 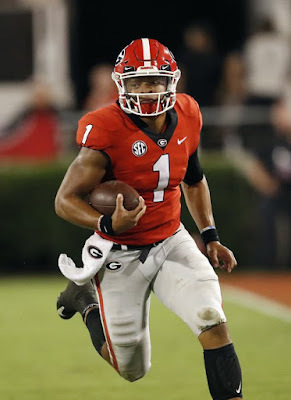 They have a rising star at quarterback, a deep stable of breakout candidates at back, and enough talent on defense to be a double-digit win team as we inch towards the 2016 campaign. Backfield: Brett Hundley never really fulfilled his vast potential while at UCLA, but that doesn't mean he wasn't missed severely. He was a three-year starter who still did some tremendous things and got the program back to relevancy under Jim Mora. The Bruins struggled to get a read on his replacement for a long time: would they go with highly touted but extremely young Josh Rosen, or former head coach Rick Neuheisel's son, Jerry? Rosen won the job and did not disappoint, posting numbers of 3,669 yards and 23 touchdowns, while facing some tough Pac-12 defenses. The Bruins didn't hold him back, as he threw the ball 487 times last year, equating to over 37 passes per game. Although he was overall fantastic, Rosen did show areas he could improve on. His completion percentage wasn't great (60 percent) and he did have 11 interceptions, while making some errors late in games. 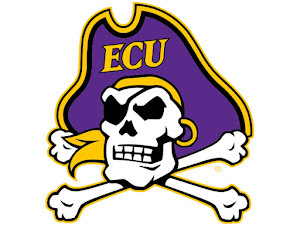 However, for a true freshman in a big-time conference without a ton of elite receivers, those issues were to be expected, and he should take big steps this year. New offensive coordinator Kennedy Polamulu can design his offense around Rosen's big arm and mobility, and the sophomore should flourish. If UCLA can take strides and he can put on some big shows in the national spotlight, it isn't unreasonable to believe that Rosen could become a Heisman threat. 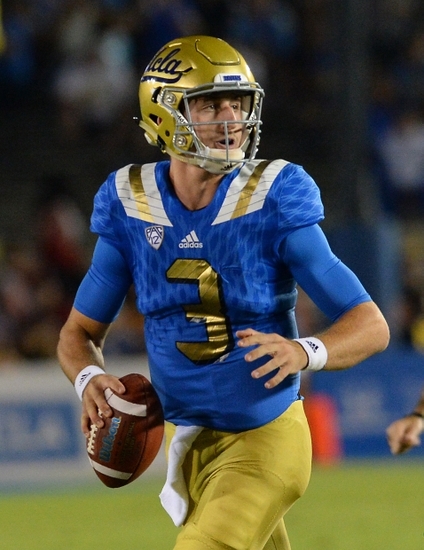 Expect the Bruins to be searching for a backup to Rosen, as Neuheisel has left the program. The running back position is an interesting place as fall camp slowly approaches. Paul Perkins was terrific with UCLA, but was never really utilized quite right. Polamulu will be eager to test out a number of different backs to replace Perkins, and there could be a committee early on However, sophomore Soso Jamabo has to be looked at as the likely feature back. Another highly touted recruit that Mora managed to land, Jamabo showed his talent last year as the No. 2 back, with 404 yards on just 66 carries, averaging over six yards a rush. Jamabo is a dazzling back that can break games wide open every time he touches the ball; he has that type of supreme talent. He will certainly need an adjustment period to go from 66 carries to being their main guy, but the sophomore is definitely ready to be a big part of this offense. If he can stay healthy and improve as a blocker, there isn't any reason why he can't have an absolute breakout season. Another back that was a big recruit, Bolu Olorunfumni, has enough potential to get some carries and the Bruins could also look to some veterans to play increased roles, such as junior Nate Starks (320 yards last year) and senior Steven Manfro. Receivers: Very quietly, receiver Jordan Payton put on a show a year ago, as he picked up 1,105 yards on 78 catches and showed supreme playmaking potential. However, Payton is gone, and so is Rosen's other top two guys, Devin Fuller and talented tight end Thomas Duarte. That will not only put pressure on Rosen, but also on the very youthful guys in this unit to step up big time. The favorite to become the No. 1 target in this offense has to be junior Eldridge Massington, but that isn't saying a whole lot. Massington has showcased some superb speed and terrific athleticism throughout his time in Los Angeles, but he had just 11 receptions last year and drops have been an issue. Can he go from a guy that was really just a change of pace option to a top target? The pressure is also on for fellow junior Kenneth Walker, who has similar expectations. Walker had just nine receptions himself a year ago, but did showcase some wonderful downfield abilities, averaging over 25 yards per reception. Walker has looked great in the spring, but isn't a polished route runner just yet, and is clearly unproven. The development of Masssington, Walker and the rest of the receiving corps is going to be very interesting to watch, and is one of the big story-lines of UCLA's 2016 season. They don't have to be Jerry Rice and Randy Moss, but have to cut down on drops and also give Rosen something to work with consistently. Senior Darren Andrews is definitely the most proven player returning to the unit, after recording 43 receptions for 443 yards a year ago. However, he was limited to just one touchdown, and is pretty undersized. He did a lot of damage last year when he was able to find soft spots in opposing defenses and camp, and he was also helped by Payton and Duarte's ability to spread the defense. It will be interesting to see if he can also adjust to a much larger and important role. Big things are expected as well of two other very young pieces, mainly true freshman Theo Howard. One of the bigger names in this year's recruiting class, Howard has the explosiveness to be a home run threat from day one. The other name to watch is redshirt freshman Cordell Broadus, who has had an interesting road. Broadus, the son of popular rapper Snoop Dogg, was a four-star recruit last year but many have questioned his passion for the game. He left the UCLA team before last season to possibly entertain an acting career but has returned. He has all the talent in the world, and is blessed with good size and speed. If he can really commit to the sport, he could really be something special. Offensive Line: Even though the Bruins lose a number of contributors to their offensive line, it still has the potential to a very strong overall group. Veteran Conor McDermott is an established star at tackle, and a player that has NFL scouts intrigued. Now a senior, McDermott was rated as a two-star prospect when he came to UCLA, but blossomed quickly. He has showed a great feel for the game and incredible awareness and it has also helped that he is 6'8", and over 300 pounds. McDermott received plenty of attention from NFL scouts this past season, but opted to stay for one more year with the Bruins, which looks like the right decision. Now a proven leader, he has a chance to go in the first round of the 2017 NFL Draft, although that is obviously a long way out. The other tackle spot should also be in good hands, thanks to the return of sophomore Kolton Miller. If the game of football was based solely on size, Miller would be dominant. He is 6'9", with long arms and 300 pounds of muscle. Unfortunately, it isn't, and the still very young Miller could still endure some growing pains. However, he has the chance to really take strides this season and be a wall at right tackle. The interior of the unit is not quite as strong, but does have some pieces back in Los Angeles. Junior Kenny Lacy is as rock-solid as they come, particularly as a run blocker. He should help guide the way for Jamabo and the rest of UCLA's backs. The big questions emerge at the center and other guard spots, where no obvious candidates are slated to take over. Senior Cristian Garcia and junior Poasi Moala have been in the system awhile and could fight for snaps at any number of positions along the line. Incoming freshman Alex Akingbulu is a four-star pickup that has a bright future for the Bruins. Defensive Line: UCLA will start this season searching for a new star on their defensive line after Kenny Clark was drafted by Green Bay just a few weeks ago. The good news is that they do have an established playmaker already in Eddie Vanderdoes at defensive tackle. Vanderdoes was once a very high-profile recruit set to go to Notre Dame before a long saga saw him end up in Los Angeles. He has shown plenty of potential and last year looked like the year he was supposed to put it all together. Instead, he tore his ACL early on, and the Bruins missed the bulky but athletic tackle. His presence immediately adds validity to UCLA's run support. Joining Vanderdoes will be senior Eli Ankou, an underrated linemen that can help at either end or tackle. Ankou led the charge with 47 tackles and five tackles for loss last season and should also be a major impact player in run support. If there is a breakout candidate on this defensive line, look no further than senior Takkarist McKinley. McKinley has produced plenty as a reserve over the past couple of years, including recording 3.5 sacks last season. He bulked up in a big way this off season and looked very good in spring practice. Clark wasn't an elite pass rusher (5.5 sacks in 2015), so McKinley could end up being an improvement, although he is a little bit smaller. The Bruins are also equipped with a good amount of depth throughout the unit, as juniors Matt Dickerson and Jacob Tuioti-Mariner are both back. Both produced well in reserve roles, Tuioti-Mariner showing great speed off the edge, while Dickerson was solid all around. Dickerson also showed he could be very disruptive batting down passes, as he used his length to record four pass breakups in 2015-2016. Mora managed to bring in a number of future contributors in this year's recruiting class, with a strong group of three and four-star guys. Perhaps the most interesting piece in the class is Osa Odighizuwa, who arrives widely rated as a three-star find. Odighizuwa is the younger brother of former Bruin and current New York Giant Owa Odighizuwa, and an established playmaker at defensive tackle. He also is a fantastic wrestler, and he will hope to bring that strength and discipline to the equation while at UCLA; he was a good pickup for Mora, as he went north to Portland. Linebackers: Few players in college football possessed the natural talent that Myles Jack did. Jack was a fantastic coverage linebacker, a tackling machine, solid pass rusher and even filled in as a running back when UCLA needed him. Unfortunately, his torn meniscus this past year ended his UCLA career prematurely and he is now in Jacksonville. While the Bruins did miss Jack last year, it gave some younger guys chances to step up, and the unit is actually very strong entering 2016. The star of the unit has to be senior Jayon Brown, who led the Bruins in tackles a year ago. Brown showcased amazing range and athleticism last year with 93 total tackles, and a knack for getting after the ball carrier. He isn't fantastic in coverage or as a pass rusher but that isn't his job as an inside linebacker; he does what he needs to very well. Flanking Brown will be underrated junior Kenny Young, who joins Brown in the inside. Young had 69 tackles with five of them going for a loss, and an interception which he returned to the house on top of it. Young is a good athlete with a high motor, and fits well in the Bruins system. The other player returning to the linebacker corps with solid experience is senior Deon Hollins, who is going to start at one of the outside linebacker spots. Hollins made headlines when he openly criticized Pac-12 officiating, much to the frustration of Mora and many others. However, he has shown flashes of brilliance as a stand-up rusher at outside linebacker, and UCLA may be creative with how they use him. In very limited action last year he was disruptive, notching 4.5 tackles for loss and 2.5 sacks, numbers which should jump up. The other outside linebacker slot is a question mark, as a number of veterans should compete for starting duties. Seniors Cameron Judge and Isaako Savaiinaea are the favorites, and both bring great, knowledgeable minds to the table. Secondary: UCLA possesses established talent in various units throughout their team, but perhaps no group has the experience or proven talent the secondary does. They have two legitimate studs at safety, and while he may be transitioning to wideout, cornerback Ishmael Adams is a beast. 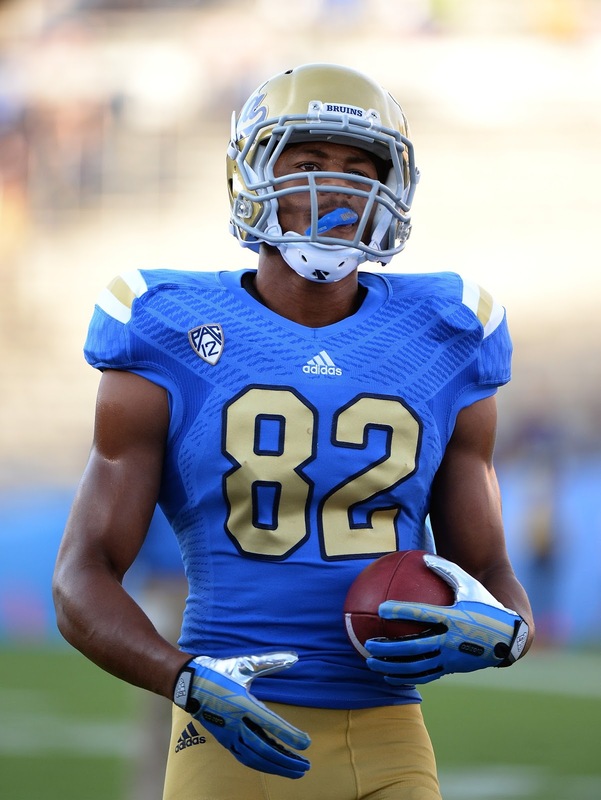 Adams has been a longtime contributor at cornerback but the Bruins obviously need help at receiver, and Adams has turned many heads this spring. If he does make the move, he could still possibly see time at cornerback, the Bruins will be creative. Senior safety Randall Goforth is a playmaker that can effect games in various ways. Goforth had 69 tackles last year and proved to be assertive in coverage, with two picks and six pass deflections en route to an All-Conference year. He will be supported by another guy that earned All-Pac 12 honors, junior Jaleel Wadood. Wadood had 72 tackles himself and also helped out with two interceptions. Both Goforth and Wadood bring valuable experience and play the game the right way. They rarely make mistakes and teams will struggle to move the ball consistently with them making plays in back. Cornerback should also be in pretty good hands, with the return of a number of players that can lock down the position. Senior Marcus Rios is sure to start at either corner spot after producing very well last season. Rios had 49 tackles a season ago, but is still growing in man to man coverage. Junior John Johnson is the favorite to lock down the other spot, after recording 20 tackles and one pick last season. Expect senior Fabian Moreau, a burner with okay size, to also challenge for a spot. Special Teams: The Bruins don't have a proven kicker or punter at this point, following the graduations of Ka'imi Fairbairn and inconsistent Matt Mengel. Fairbairn is a major loss, as he was a Lou Groza Award candidate towards the end of last year. There is no clear candidate set to replace Fairbairn as of today. The Bruins have had pretty lofty expectations over the past few years and have had success, but are still seeking a true return to national contention. Rosen leading the charge should help, and there are plenty of other breakout candidates throughout the offense. The defense should be solid, particularly if a pass rusher can step up and Vanderdoes can play at 100 percent. UCLA will be tested on how much they've improved from last year's 8-5 mark early with a test against Texas A&M and sneaky BYU later that month. The good news is they get a number of their big Pac-12 opponents at home and miss out on Washington and Oregon, two of the tougher North teams. With the Pac-12 South in a rebuilding phase, this talented UCLA team appears to be the favorite. If everything goes as plan, UCLA should find a way to the Pac-12 Championship Game for the first time since 2012 and possibly push for even higher honors.